The licenses of two midwives were revoked after three babies died at the birth center they owned. In a separate matter, the parents of a child who was diagnosed with cerebral palsy after suffering from a lack of oxygen at birth have settled a lawsuit with the same midwives. Birth centers are health care facilities in California and other states that allow women with low-risk pregnancies to give birth outside a hospital setting, usually under the care of midwives. 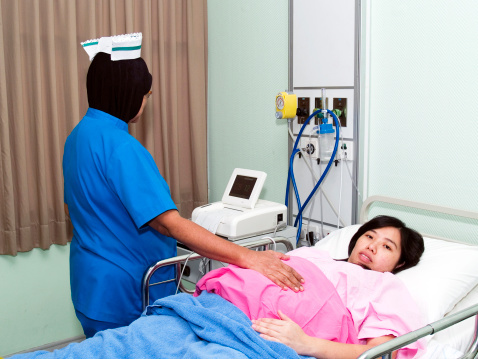 Women who use birth centers may be transferred to a hospital if problems arise. The lawsuit stems from a June 2008 delivery at the birth center, before the three deaths occurred. According to a civil complaint filed by the parents in this case, the couple’s new daughter was limp and blue when the mother delivered. A midwife called an ambulance about 19 minutes later, and the mom and baby arrived at a hospital 53 minutes after her birth. The baby did not have oxygen at birth, according to the complaint, and was diagnosed at the hospital with hypoxic ischemic brain injuries. She was later diagnosed with cerebral palsy, developmental delays and other conditions. The parents’ lawsuit over their daughter’s cerebral palsy and other disorders settled for $5 million. CP is a group of disorders that can result from hypoxic ischemic brain injuries and other causes. CP can affect muscle control and tone, head control, sensation, coordination, and cognitive abilities. The disorders happen as the result of damage to the areas of the brain that control those functions. Children with CP may need a lifetime of costly special care. While the parents’ birth injury complaint was pending, three babies died at the birth center, prompting an investigation by the state licensing agency for the midwives. In some of the deaths, investigators found, the midwives delayed calling for transfers or failed to cooperate with paramedics. In the first death, a student working under one of the midwives improperly cut an infant’s umbilical cord. Regulators found that the midwives made the incident worse by not providing emergency responders with an adequate explanation of what happened. In the second death, a midwife prevented paramedics who had been called to the birthing center from entering a patient’s room for four minutes. The licensing board in her state found that she did not fully cooperate with paramedics and did not initially say why the patient needed to be taken to the hospital. In the third death, a baby was born limp, unresponsive and pale, with a heart rate of just 80, and had meconium staining around the mouth, which can be a sign of fetal distress. The midwife waited 11 minutes before calling paramedics. The licensing board suspended their licenses and later revoked them. Investigators said allowing the midwives to continue practicing would be dangerous to public health and safety. It’s unclear whether the families of the three babies have pursued wrongful death or birth injury lawsuits. Injuries and deaths like these are unacceptable. Yet they happen, both in the state where these midwives practiced and in California. If your baby has been harmed by a negligent doctor, midwife or other medical professional, an experienced birth injury attorney can evaluate your case.